Forget what you think you know about cruising. 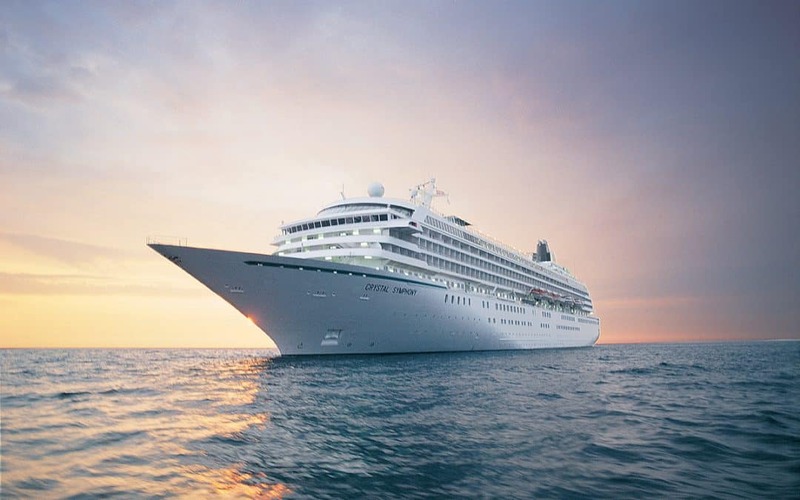 Crystal Cruises takes your vacation to a whole new luxurious level. 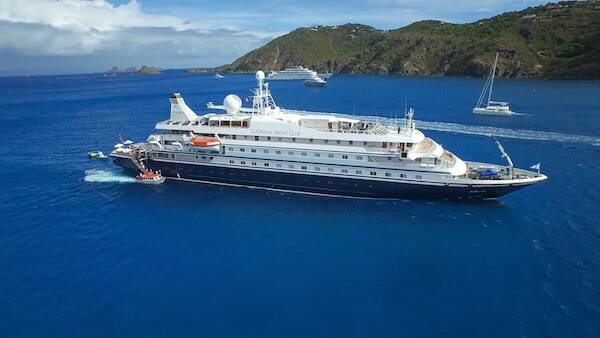 This luxury cruise line boasts some of the best, most award-winning ships in the world. Spacious decks, posh detailing, and classic modern decor with a touch of Old Hollywood glamour await you on board. You can expect personalized service, too, from staff who are invested in your enjoyment. Think of Crystal Cruises as the perfect balance between elegance and adventure. 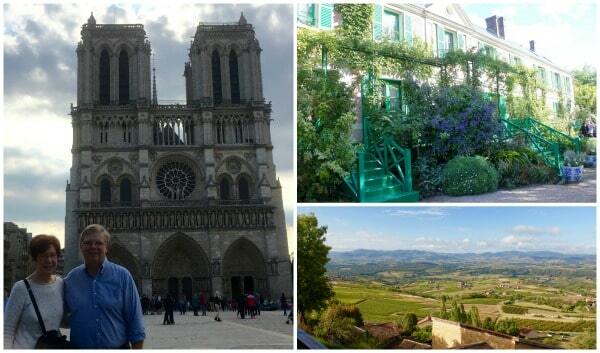 Our clients Kathy and Steve Rotert took a travel risk, one that paid off big time. They decided to take a romantic European river cruise down the Danube, even though they never river cruised before. The result? Imagine traveling on one of the beautiful luxury small cruise ships: Leaning over the veranda of your cabin, so close to the water you can feel the spray sprinkle your face. Taking a dip in an infinity pool as the sun sets below the horizon. Photo courtesy of Seadream Yacht Club. Cruising on one of the majestic ships ever built just got a whole lot easier. Royal Caribbean’s Oasis of the Seas — the second largest cruise ship in the world — is docking in Port Canaveral. The mighty ocean cruise ship moved from Port Everglades to Port Canaveral. We know a lot of our clients who live in the Augusta area are big Royal Caribbean fans — but the drive down to Ft. Lauderdale to hop on a cruise can be exhausting. You lose a whole day of your vacation when you travel that far! Sandals’ over-the-water bungalows, one of our 2017 top picks. Photo courtesy of Sandals. Do you have a vacation or your top travel destinations all planned out for 2017? If you’re like many travelers, you might not start thinking about your annual family vacation or romantic getaway until the calendar changes to the new year. Well, it’s time to start your vacation planning! We’ve highlighted four of our favorite, trending vacation ideas for 2017 to inspire you. What’s new with Celebrity Cruises? Our clients Gordon and Carole Meek recently returned from their very first river cruise. 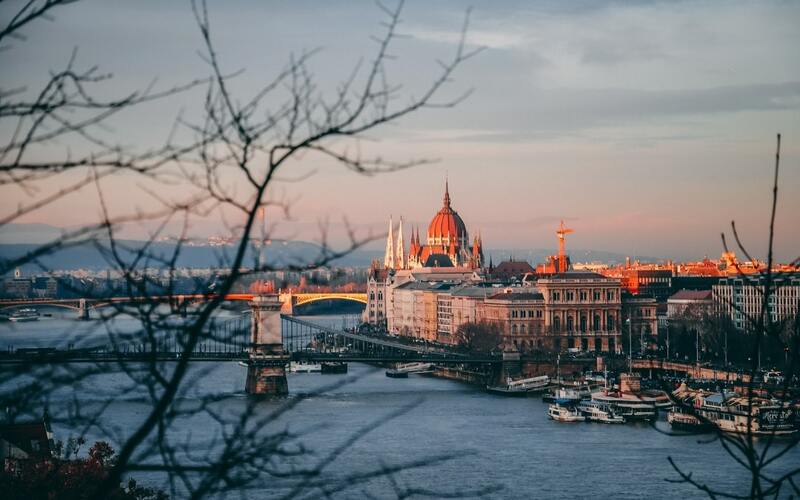 They embarked on a Viking Cruise through Eastern Europe; their trip started in Bucharest, Romania, and the ship traveled north to Budapest, Hungary, and along the way they sailed through Bulgaria, Serbia, and Croatia. What’s new in the world of Royal Caribbean? Our client Charles Dickson recently returned from a 10-night cruise on luxury line Celebrity that sailed throughout the eastern Caribbean. Chuck has been on more than 25 cruises, but this time he and his wife did something a little different — instead of booking their normal “veranda” room, they got a luxurious suite. What was the upgrade like? “It was just unbelievable,” said Chuck. How long have you been working with Avalon? Working with travel agents on my accounts, and continuing to educate them on our products and promotions. Cruising is great too, but I can’t do it all the time! Do you have a favorite Avalon itinerary? I really enjoy the Danube cruise, it’s my favorite right now. It’s very diverse; you see a lot of castles, cathedrals, abbeys, and vineyards, and you sail through multiple countries. 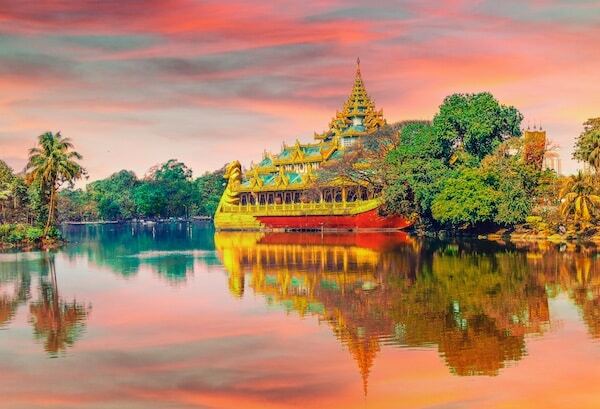 The Mekong itinerary through Southeast Asia would be number two. Why do you think someone should choose a river cruise experience over an ocean cruise? 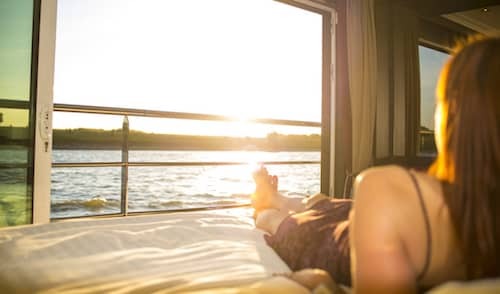 Ocean cruising is great, but river cruising gives you a more inclusive environment—you’re not nickled and dimed on board! Plus, an ocean cruiser can’t get you to the heart of a destination like a smaller river cruise ship can. Our river cruises have somewhere between 128 to 160 passengers, compared to 4,000. Being on an ocean cruise can feel like going to the mall on Christmas Eve! 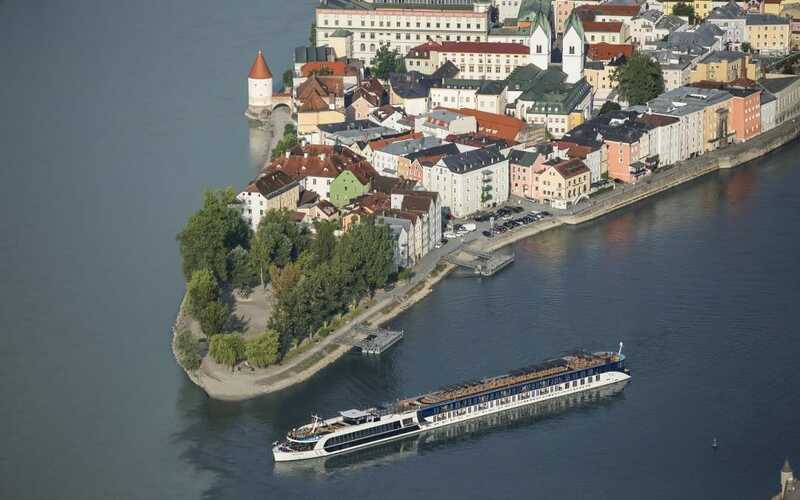 How does Avalon distinguish itself from other river cruise lines? In a couple different ways: we have the youngest fleet, the largest cabins, and really great itineraries. Plus, Avalon is part of the Globus family of brands, which encompasses land tours. That means you’re easily able to tack on additional packages to the river cruise itself before or after the trip. Airfare to your river cruising destination can be pricey, even though we can get the best deal for you. So the longer you can stay on vacation, the more it drives down the per-day cost of your air. So I’d definitely recommend coming early or staying late! Do you have any advice for vacationers thinking of trying a river cruise for the first time? Yes, absolutely—see a travel professional. They’re familiar with all of the brands, and they can figure out which product is best for you. Depending on your personality and preferences, they’ll give you a number of different opportunities and help make the decision that’s best for you. Also, for deals, it’s important to stay flexible. 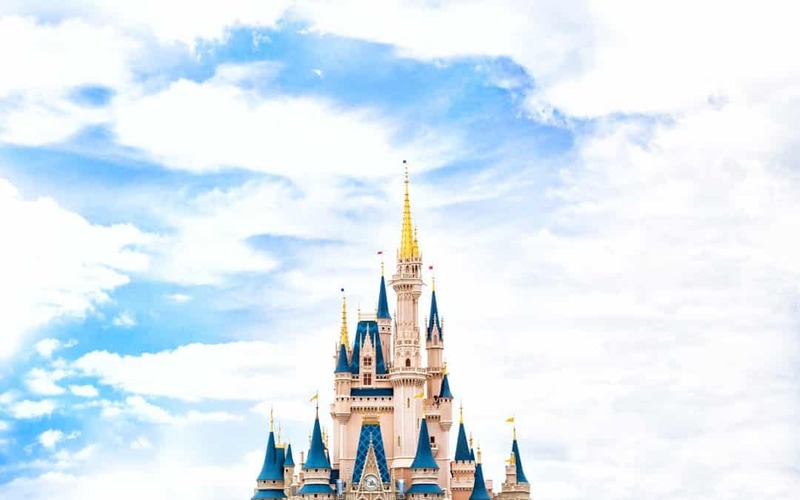 So many people come into a travel agency and say, “This is the week I want to go.” But you might get the best deal if you went the week prior! If you come in with a parameter of dates, your agent can explore better discounts and deals for you. Thank you for sharing your insights, Patrick! If you’re interested in learning more about a river cruising experience on Avalon, get in touch with us today!